Hire a private jet for and fly private to Spain’s southeastern port city of Valencia, famous for several beaches and the ultra modern City of Arts and Sciences. Whether you’re booking a private flight to relax around on of the city’s five-star resorts or to conduct business in the fourth largest region of Spain, we have access to thousands of Wyvern-certified private aircraft and can book the perfect aircraft for your trip. Jet Charter Europe believes in providing private flyers with a one-on-one consultative service experience that exceeds every expectation. Your time, privacy, flight preferences and most of all, safety, are our top priorities, and our private air charter representatives are available for you by phone and email 24 hours a day, 7 days a week. When using our service, you can expect quick response times and an easy, hassle-free booking process. 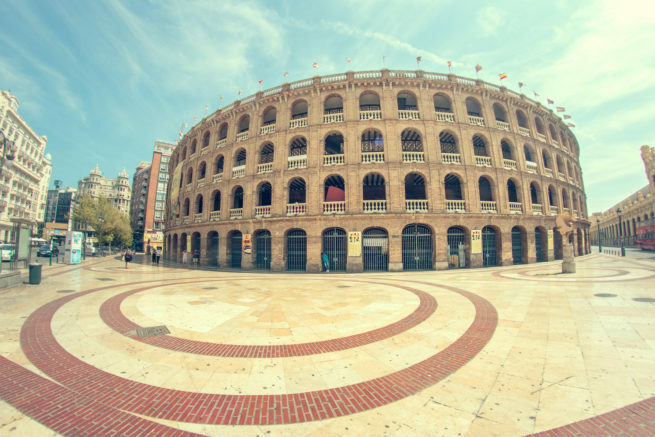 Request a quote or call us today and arrange your private charter flight to Valencia, Spain. Fly private luxury jet to the port city of Valencia, the third largest city in the country on Spain’s southeastern Orange Blossom Coast. Located where the Turia River meets the Mediterranean Sea, it’s known for its City of Arts and Sciences complex with futuristic structures including a planetarium, an oceanarium and an interactive museum. The city also has several beaches, including some within nearby Albufera park. 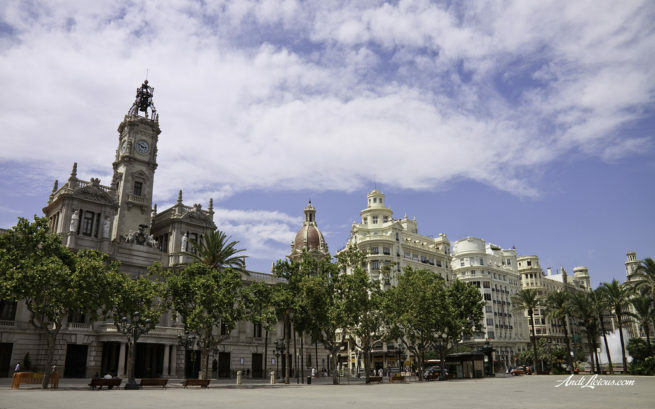 Valencia offers a variety of hotel and resort options for luxury vacations and business travel, and we’ve put together a list for you based on many factors, including Jet Charter Europe passenger feedback, location, amenities and online reviews. Once you arrive in Spain via luxury private jet, our Valencia Private Jet service brokers can also arrange ground transportation to/from the hotel of your choice. Valencia is the birthplace of ‘paella’, one of the most well-known courses to originate from Spain, and the dish is very much part of Valenciano culture. 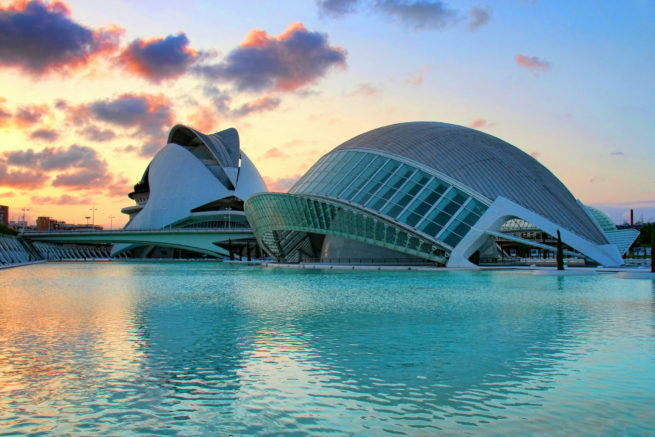 Although it contains many Gothic and Renaissance monuments, Valencia’s modern crown jewel and most popular destination is the City of Arts and Sciences, a futuristic complex of museums, cinemas, theaters, and more. Nature lovers can enjoy a relaxing stroll through the Turia Gardens, one of Spain’s largest urban parks – built on a former riverbed, the gardens are born from the redirection of the Turia river in an effort to prevent constant flooding in the city. Spring and autumn are Valencia’s liveliest seasons for cultural events; the city goes up in flames every March during “Las Fallas“, a five day festival dedicated to St. Joseph. Home to several America’s Cup Competitions in recent years, Valencia’s location on the Mediterranean makes it the perfect spot for sailboats and superyachts. If you’re interested in spending some time on the Mediterranean, we can assist you in chartering a private luxury yacht out of Juan Carlos I Royal Marina located near Las Arenas Beach. Check out more of our recommendations for luxury private jet travelers staying in Valencia, Spain. Jet Charter Europe utilizes the following airport to fly clients privately to/from Valencia, Spain and neighboring areas. Request a Quote or give us a call at 1-888-987-5387 to speak with one of our Valencia Private Jet Charter brokers for your next luxury vacation, business trip, or special event.